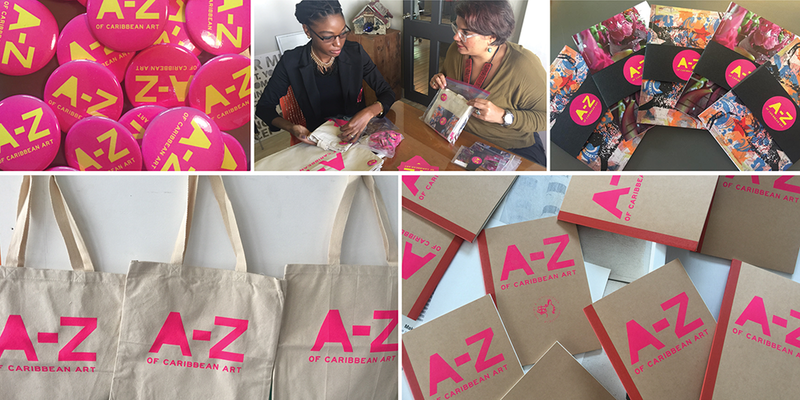 The team at R&C has been busy over the past couple weeks getting your A to Z perks ready. We’ve just had an epic perk packing session, and we’re now sending out a second round of thank you cards, as well as postcard packs, copies of Pictures from Paradise and See Me Here, buttons, tote bags and sketchbooks. A very special thank you to Alex Kelly for generously donating time and talent towards screen printing the branded A to Z totes and sketchbooks. They’re gorgeous! For those backers who ordered any of the perks mentioned here, keep an eye out for them in the coming weeks. Previous PostPrevious A to Z success with Indiegogo!